Have you ever wanted to achieve a blowout but were afraid to use heat on your hair? 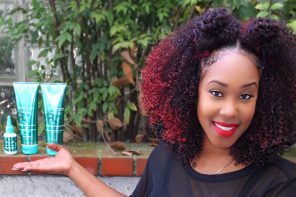 Well in this tutorial I demonstrate how to achieve a heatless blowout! In the video, I give two options that fit all budgets. The first option is to use a handheld steamer called a Q-Redew. The second, is to use a mixture of distilled water and lavender essential oil. Watch the video to see how I got this awesome heat free blowout! 1. Starting on clean, freshly washed hair. 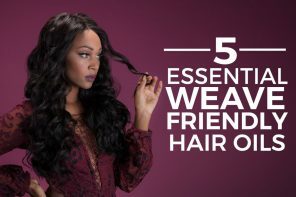 Use a lightweight, creamy leave in conditioner to saturate all hair strands. (My favorite for this is Giovanni Direct Leave In). 2. Comb through hair with wide tooth comb and/or detangling brush, ensuring that there are no knots or tangles. You want your hair as smooth as possible. 3. Use an oil to seal in that moisture. 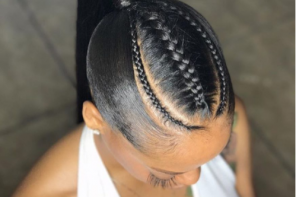 (I like to use jojoba oil, grapeseed oil or a very light whipped shea butter). 4. 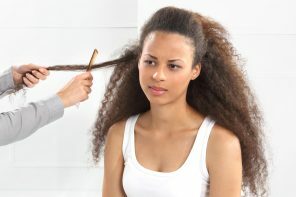 Put your hair in a few loose braids and let air dry over night or for a few hours –if your hair can dry in that time. 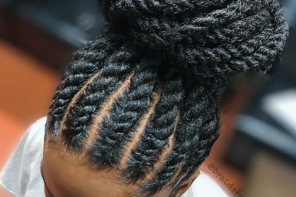 **In this step it is important that your braid is loose because that allows air in and encourages it to dry faster. You cannot have damp hair to achieve a heatless blowout, so you want to make sure your hair dries in time. 5. 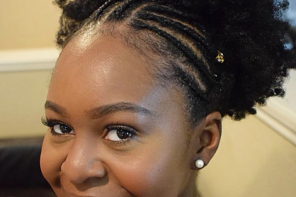 Once dry, take down all braids. 6a. 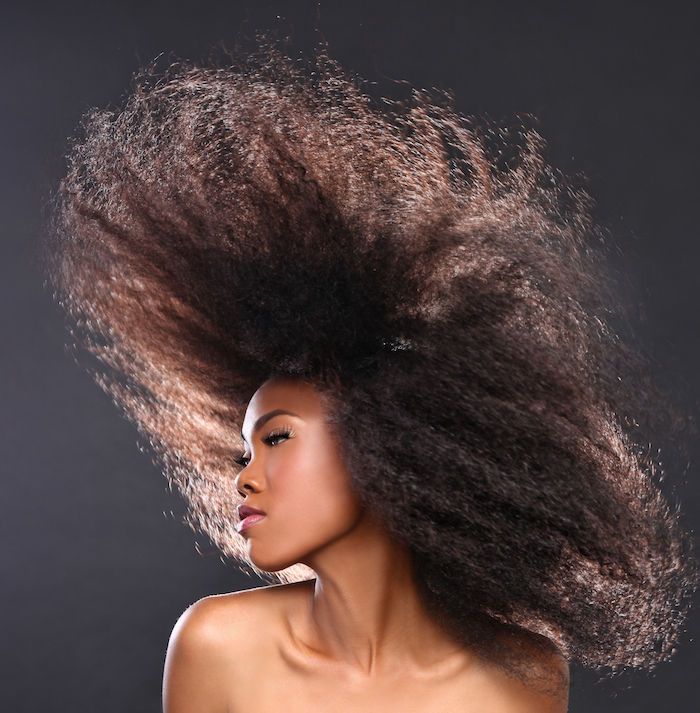 (If you have a Q-Redew) –use the Q-Redew to steam each section of hair to loosen it up. 6b. (If you do not have a Q-Redew) –spray a VERY SMALL amount of distilled water mixed with lavender essential oil [about 5 sprays]. This mixture puts a little moisture into the hair without weighing it down, so that you are not combing dry hair. 7. Use a wide tooth comb and paddle brush to comb through hair –I typically do this in sections. This smooths the hair cuticle and creates the big hair blowout look. This is how I begin majority of my styles, as I don’t like to do wet sets too much. 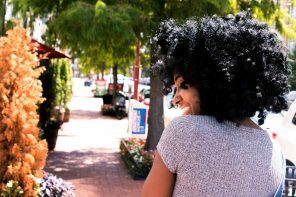 A heatless blow out allows me to retain more moisture and length retention in my styles. Which for me, gives me the best results! Have you tried this technique? How did it work for you? Comment below! 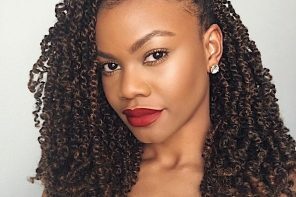 @simplyjade_101 is relatively new to the blogging industry (about 2 years), but is no stranger to natural hair & natural hair care. She's been natural her whole life but has had many hiccups along the way, including severe heat damage and color damage. 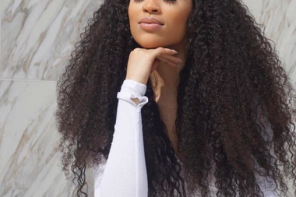 She has a YouTube channel (SimplyJade101) where her goal is to demonstrate the simplicity of hair care and remind us that you don't need to over complicate things in an effort to maintain healthy hair. 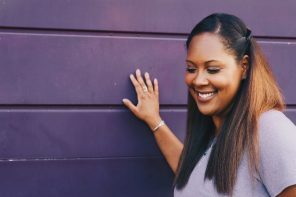 She is a School Counselor and a newlywed, simply enjoying the balancing act of her career, marriage and blogging/YouTubing! 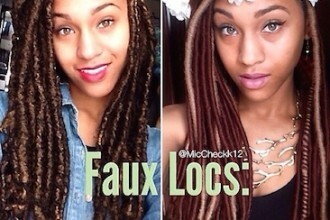 Marley v. Yarn Faux Locs: Which is Best?